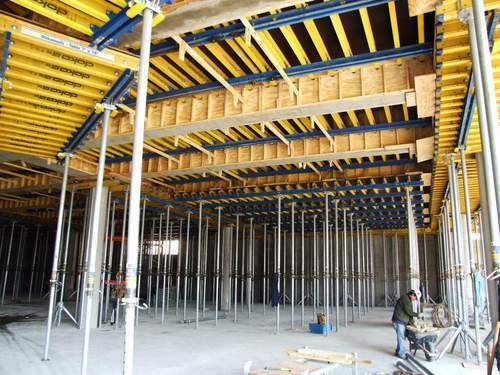 Prominent & Leading Exporter from Delhi, we offer slab formwork & press bent panels for slabs. Fabricated using 14 gauge sheets include pressed stiffener and flanges. Supplied in standard sizes of 1150 x 600, 900 x 600, 1150 x 300 & 900 x 300 mm. Customized sizes can also be produced according to the client specifications. The Floor/Slab Formwork Adjusters do away with the use of timber pieces, as these can fix odd shapes in slab. Supplied in standard sizes of 1150 x 400, 900 x 400 and 600 x 400 mm.